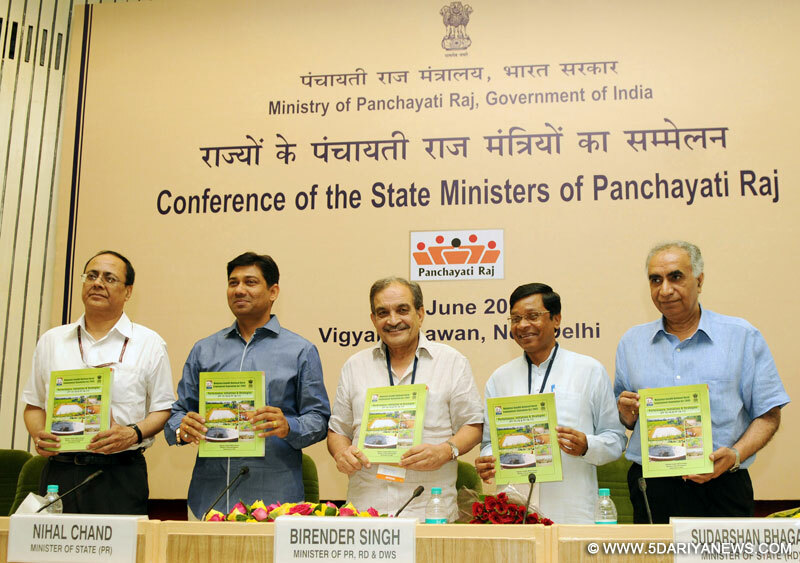 Punjab and Jammu and Kashmir are among the six states that have so far not released central funds sanctioned for Panchayati Raj institutions, Union Rural Development Minister Chaudhary Birender Singh said on Tuesday. "Six states have not released the funds sanctioned for the Panchayat Raj institutions. This is against the mandatory provisions of the 14th Finance Commission recommendations," Singh told IANS on the sidelines of a function here.Other states which have "kept withheld" the funds are Congress-ruled Uttarakhand and Himachal Pradesh, Left-ruled Kerala as well as Arunachal Pradesh, ruled by People's Party of Arunachal supported by the Bharatiya Janata Party. Punjab is ruled by the Shiromani Akali Dal-BJP alliance while Jammu and Kashmir has a Peoples Democratic Party-BJP alliance government. The 14th Finance Commission had recommended allocation of funds to the Panchayat Raj institutions to improve services provided by the village bodies, an official pointed out.The minister said that funds earmarked for Panchayati Raj institutions "cannot be retained with the state governments for long". "There is no provision for the Centre to take action (against erring state). In a federal system, we have sanctioned and released the money/funds. But one thing is clear -- these funds cannot be kept in the Consolidated Fund of the state government concerned," Singh said.Meanwhile, an official source said that the Centre released funds for Himachal Pradesh on January 1 and for Uttarakhand on February 18. "For other states, the central allocation was done by the first half of June," the source said.Earlier, the minister released the "outcome report" on Mahatma Gandhi National Rural Employment Guarantee Act for the 2015-16 fiscal. The report said that "the pace of person-days generation with a major focus on water conservation and harvesting measures has been impressive. It is expected to generate nearly 75 crore person-days of wage employment during the current quarter (four months period)".Singh said that "people's interest in MGNREGA scheme has been renewed" during the last two years due to the proactive interest shown by the National Democratic Alliance government. "There was lack of enthusiasm towards the MGNREGA due to leaks and other issues before we took over (in May 2014). But in the last two years, things have changed and people's interest in the scheme is back," the minister said. Singh said the person-days average had dropped from 212 crore person-days to 150, which now will be increased to 235 crore person-days.When pointed out that only 49 workdays have so far been generated nationally as against a target of 100 workdays, the minister said: "Whatever you say, there is a visible improvement. The 49 days is the highest so far since the scheme took off. The highest workdays under the previous United Progressive Alliance government was 46 days."